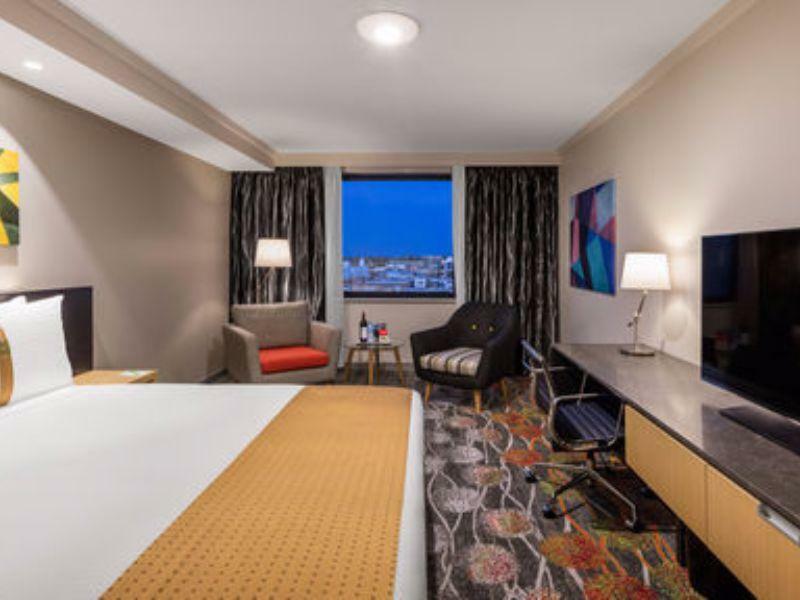 يتميز Holiday Inn City Centre Perth بموقع ملائم في قلب منطقة الأعمال المركزية في بيرث (منطقة الأعمال المركزية)، ويبعد مسافة 12 كم فقط عن مطار بيرث، ويضم مكتب استقبال يعمل على مدار 24 ساعة، ويوفر خدمة الواي فاي مجانًا في اللوبي كما يوفر حرية الوصول إلىSnap Fitness المجاور. يحاط مكان الإقامة بالمطاعم والبارات والمسارح والتسوق والترفيه، ويقع كل من منطقة العروض الترفيهية بيرث ومركز بيرث للمؤتمرات على بعد 10 دقائق سيرًا على الأقدام، وتتوفر حافلات مجانية تصل إلى منطقة الأعمال المركزية وتقف مقابل الفندق، وتقع محطة قطار بيرث على مسافة بضع دقائق سيرًا على الأقدام. يقدم مطعم Ivy & Jack مزيجًا من المأكولات الفرنسية والإسبانية ويعرض بعض من أفضل المنتجات التي توفرها الولاية، ويفتح طوال اليوم لتناول وجبات الإفطار والغداء والعشاء، ويوفر ما يناسب كل وقت وكل مناسبة، تضم جميع الغرف المكيفة تلفزيون بشاشة مسطحة مع قنوات فضائية ومحطة للآيبود ومرافق صنع الشاي / القهوة، يحتوي الحمام الخاص بك على دش ولوازم استحمام مجانية للضيوف. It's my first time to Perth and this hotel made a very good and lasting impression. 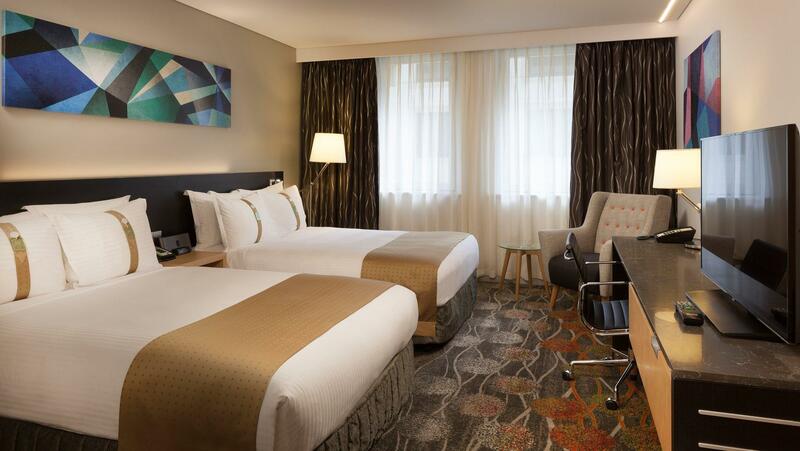 The hotel is conveniently located near the famous Hay Street and other interesting spots. Will definitely stay at this place again. Great central city location closed to Perth underground, Perth train station, bus hub, free city CAT buses with red CAT right in front, lots of eateries around and very near to Hay St Mall etc. Tim Ho Wan is near by on the left on Murray St. This is the hotel which we always stay in whenever we are in Perth. It’s the best because of its strategic location - you can get to anywhere by train or bus. Friendly staff who always extend a smile, clean rooms. Definitely our choice for accommodation always. Stayed in this hotel at least 5 times whilst in Perth. 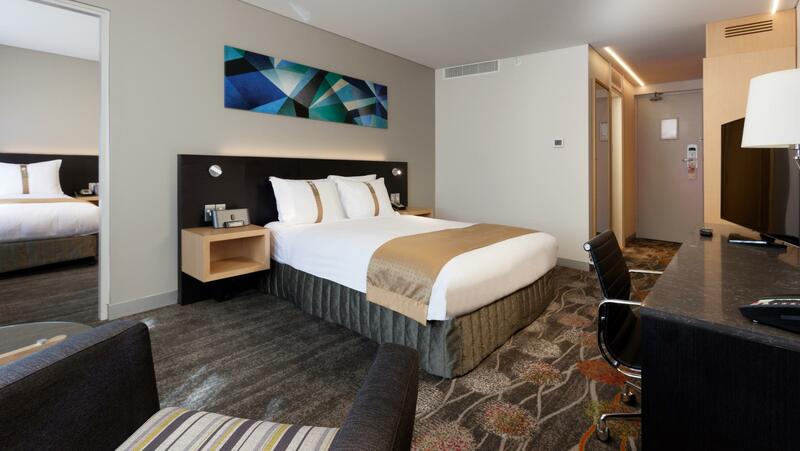 Would highly recommend it to anyone looking for a hotel within the Perth CBD area. While it can be a little pricey, the service level of the staff is exceptional. It's all about location . Its strategically located in the heart of Perth City. You can even walk to Chinatown from the hotel which is about 10 minutes away only. Will definitely come back to this hotel. We stayed 4 nights in Holiday Inn with our 2 young kids in June 2017. Check in process was smooth. Room is spacious and comes with all we need. Location is very strategic in Hay Street. Right outside the hotel is the Red Cat bus stop. Walking distance to Myer, North Bridge. And the famous Jamie Oliver restaurant is just 10 mins drive. Budget car rental is also 7 mins down the hotel so that it ease our car rental process. Nothing to complain seriously. All, yes everyone, at the front desk was so friendly and helpful with our daily questions on eateries, direction and etc. This is surely my only choice if I ever return to Perth ! I have stayed in this hotel about 4-5 times over the past 8 months and have always loved their service. On my recent trip, I landed at 530am and reached the hotel at 6am. To my surprise, they checked me in early without charging me for an additional half day. I would recommend this hotel because of its excellent location. It is located directly on Hay St. So, there are many eateries and shops within walking distance. I have stayed in other hotels in the Perth CBD and this is by far, my favourite one. However, although it is marketed on Agoda as having free wifi in all rooms, this may not be the case. 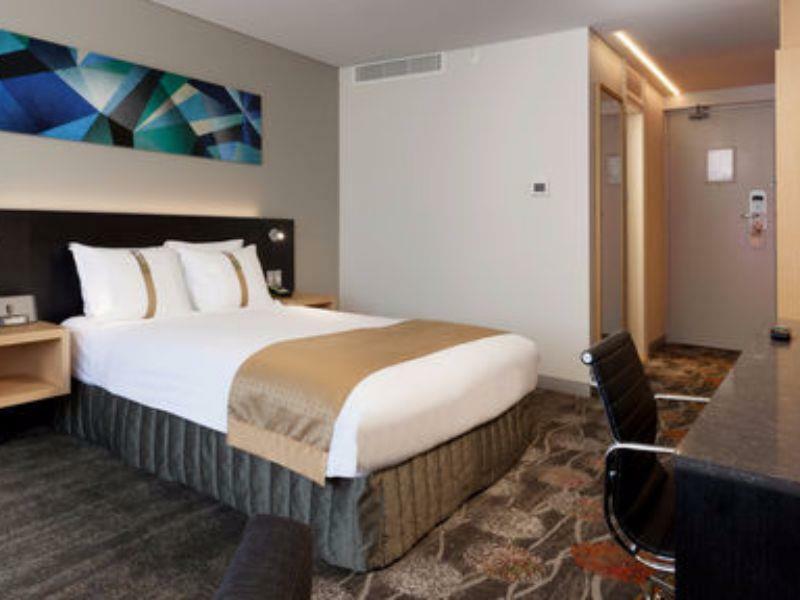 We stayed for 2 nights at the Holiday Inn Perth City. Our request for early checkin at 11am was accommodated, and pretty much fuss free. We were also upgraded to the executive room and had a pleasant stay. The location was superb, with easy access to the freeways, airport and other cities. The staff was wonderful and they kept my boys entertained with colouring pages and crayons while I was checking in. They took initiative to check if I needed any help/ assistance, each time we are at the lobby. The hotel is close to the train station and shopping area. Car rental like Avis and Hertz is walking distance away. Will defintely stay there again. Amazingly good. Great staff receptionist by the name of Travis. Always helpful and go the extra mile. The restaurant serves good for value meal with friendly staff. Will definitely stay here again for my next visit. A trusted brand name, with excellent location. Staff was helpful and friendly, and staying in the city hotel means amendities are easily available, and food is not an issue. May be slightly noisy for some, but suits us perfectly well. We picked the hotel because it's right in the city centre and very close to everything. We can walk to do some shopping or to the pubs. Taxis are easy to find. Very comfortable bed. Small room but we figured that when we booked it. Please consider provide complimentary water in room. Just because my son over than 17years old I had to pay $55/night. I asked for an extrabed, they said the room is not fit for an extrabed. Why I have to pay extra if I stay in the same room size? In other country, I never pay extra even they have the same rule. 7nights can you imagine? Total I have to pay $385 for nothing. The buttom line is i feel dissaponted. Location is unbeatable, right in the heart of everything. Walk to CBD or shopping area. Stuffs were helpful. Rooms were clean (I check in twice in a week). Wifi fast. The only thing negative I would say is that the rooms soundproofing can be much better. You can hear upstairs, next unit's as well as street's noise. Is it value for money? Well it depends on which day or period u booked in. Over weekends its more value for money with a nice breakfast thrown in. 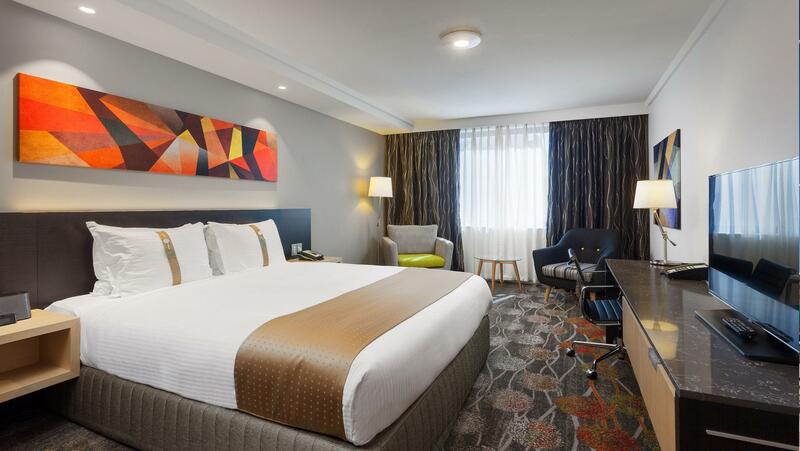 Holiday Inn Perth City Centre has always been our option whenever we are in Perth. This is due to its strategic location, friendly staff, cleanliness of the rooms. Every staff is always smiling and welcoming us to the hotel. It’s very convenient to get around as there are CAT buses, trains, malls all around. Ivy and Jack serves excellent food if one considers to stay in for the day. Hotel Inn Perth City Centre is truly a home away from home. We look forward to be back. located in the heart of Perth , easy to access to others attractions point by CAT or bus or train. strongly recommend for first time traveller to Perth. Location in the city center, easy to find food & shops. Free bus stop in front of the hotel. Definitely value for money. It is super convenient location and friendly staff. The bad point is there are no free for car park.